Two Greensfelder attorneys are beginning terms as leaders of practice area sections of the Bar Association of Metropolitan St. Louis (BAMSL). 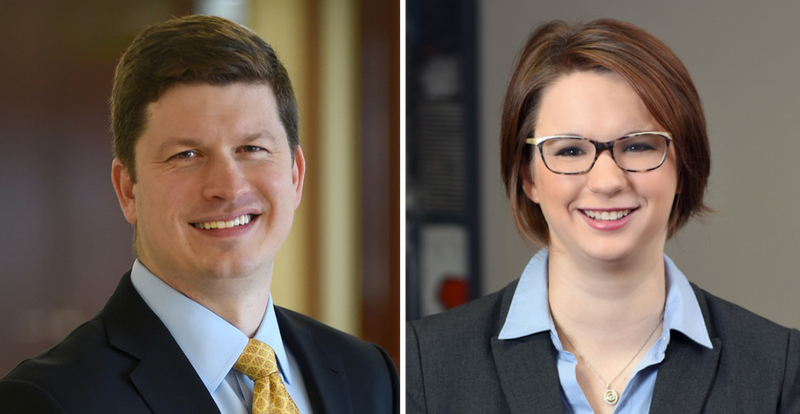 Effective May 1, 2017, Andrew Hartnett is the new chair of BAMSL’s Securities Section, and Kara Krawzik is chair of its Employee Benefits Section. Also in BAMSL’s Employee Benefits Section, two other Greensfelder attorneys were chosen to take leadership positions effective May 1: Heather Mehta is chair-elect, and Jeffrey Herman is secretary for the section. In the Securities Section, Greensfelder associate Megha Shah is the section whip. In addition, Jessica Courtway, an associate in Greensfelder’s Construction industry group, begins a term as vice chair of BAMSL’s Young Lawyers Division (YLD), and Health Care associate Sanja Ord is co-chair of YLD's Bridging the Gap committee.